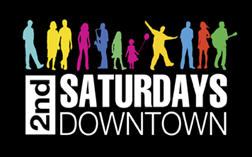 On January 12th, be in DOWNTOWN Tucson for 2nd Saturdays family friendly urban music festival. 2nd Saturdays will again host their winter hours kicking off at 2pm, going until 8pm. Wrap up to stay warm as you stroll, shop, be entertained and find your favorite food truck or restaurant. Lots of food, fun and mostly handmade specialty items line the streets. Congress Street is jumping with people, music, food and activities. Look for street performers to entertain you from Toole Ave. to Church Ave. All the music is live, performed by local bands on the 96.1 KLPX Stage at Scott & Congress. Remember you can be part of the Downtown scene along Sun Link’s Downtown route. Hop on at any stop along the Sun Link corridor to be part of 2nd Saturdays. West Side Rides Classic Car Club: on 6th Ave. If you love classic cars you must come check these guys out. The owners are on hand and love to answer your questions. These cars are special and so is each member of this club. They have been part of the scene with their great rides decorating the streets for this super event since 2010. This club brings some of the best rides in town to the city center for you to see. These cars may be from the 30’s, 40’s or 50’s or even like the car you learned to drive. Part of the 2nd Saturdays family, West Side Rides provides 2nd Saturdays with great classic cars you won’t want to miss.